Mortality rates from asbestos during the time period analyzed were higher than reflected by the maps. 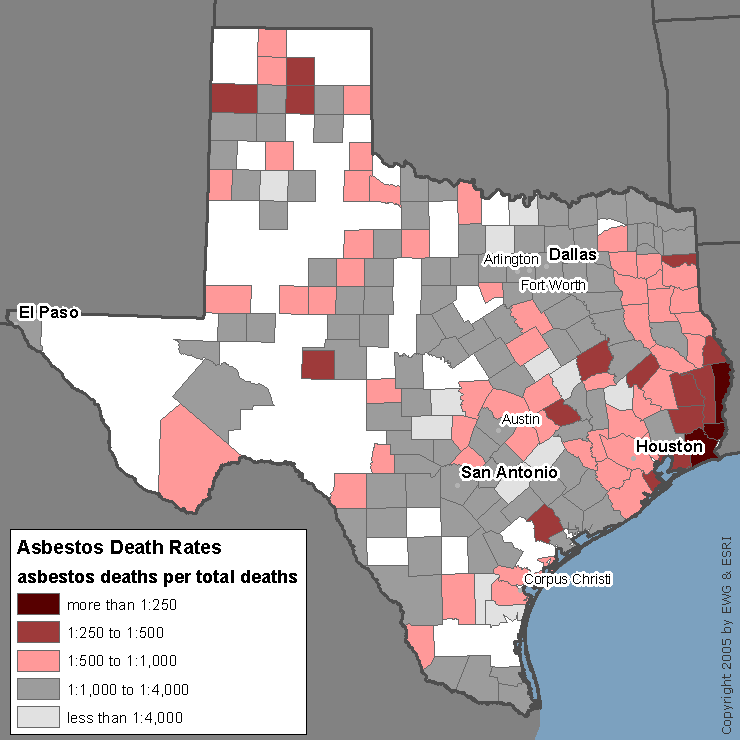 The map is based on deaths from just two forms of asbestos disease, mesothelioma, the fatal asbestos-caused cancer of the chest lining, and asbestosis, a non-cancer disease of the lungs. The map does not reflect asbestos caused deaths from other cancers including lung cancer and gastrointestinal tract cancers. Together these additional asbestos caused cancers account for at least as many asbestos fatalities as reported here. Further, mesothelioma mortality, which is reflected in the maps, was grossly underreported until 1999. In that year, the federal government for the first time listed mesothelioma as a reported cause of death. Deaths attributable to mesothelioma more than double that year, and have increased since that time.